Posted byEditor	 January 30, 2019 February 1, 2019 Leave a comment on How To Test If Your ISP Is Throttling Your Internet Speed? Reasons behind why internet speed slow down? If you notice that your internet connection is slower than usual and the speeds that you are getting are also slower, then one out of these three issues will likely be what is causing your internet connection to slow down. 1. Your network provider is facing high traffic levels. Internet connections work just like roadways for digital information, and just like real roadways, when having high traffic, they can run into slowdowns and traffic jams. These slowdowns can either be from your ISP’s network or your home network. If either one of these have a large amount traffic, the result would be in your connection getting slowed down. If many people in the same area are online at the same time, the data they are sending back and forth on the network can max out the network’s bandwidth and cause slowing of the internet connection. If this happens, it is mostly in highly populated areas during peak hours on evenings and weekends. You can call your ISP’s customer support service and ask them to boost the network speed in your area to prevent slowing of the connection. If it is not your ISP’s network, then it probably will be your home network that has a lot of devices connected to it at the same time which may be causing the slowing of your internet connection. For this, you will need a higher connection speed to handle your internet activities. 2. Your device is jammed. One of the most common reasons why your internet connection slows down is that your device(Modem/Router) is a bit outdated and gets jammed frequently. Sometimes, Modems and Routers may receive more information than their handling capacity and it results in your internet connection being slowed down or completely getting froze. The most common solution for this is to reset your modem or router, which will clear out all the data stored on the router and will get your network back to the normal speed. You can also look a new, better router if this is what causing your internet connection to slow down. 3. Your provider is throttling your connection. Internet throttling is done by your ISP to slow down your internet connection. Internet throttling means “intentionally slowing down your interenet connection“. Most of the times it is done by the ISPs due to one reason or another, while sometimes a user may have to throttle their own service in order to have a stable connection. Other times, if you are on a limited data plan then you might want to limit your connection speed in order to conserve data and hence throttle your connection. When the slowdown of your internet connection is natural due to high traffic then it is not considered throttling as many devices are connected to the same network due to which the connection speed is hampered. However, if your ISP intentionally slows downs the connection speed of one customer in order to increase the speed of another, then this act would definetly be considered throttling. Why do ISPs throttle internet? There are certain reasons behind doing this process. When you subscribe to an internet plan from a particular ISP then they may have a clause that will allow them to throttle your connection if you reach a specific data limit. So, if you are over the data limit then your ISP may slow down your internet connection. Some of the ISPs have been accused of throttling a customer’s connection speed based on his internet activities. Although there is no such law that would allow any such act, ISPs still do it in order to preserve the speed for other users. For instance, if a user was participating in activities which require high bandwidth speeds such as downloading very large files via torrent then an ISP may be throttling the user’s connection speed. If your modem/router is fine and you don’t have a high traffic on your network then it probably will be that your ISP is throttiling your connection. The easiest way to find out that if your connection is being throttled is to perform a speed test. A speed test may tell you about your internet connection speeds. 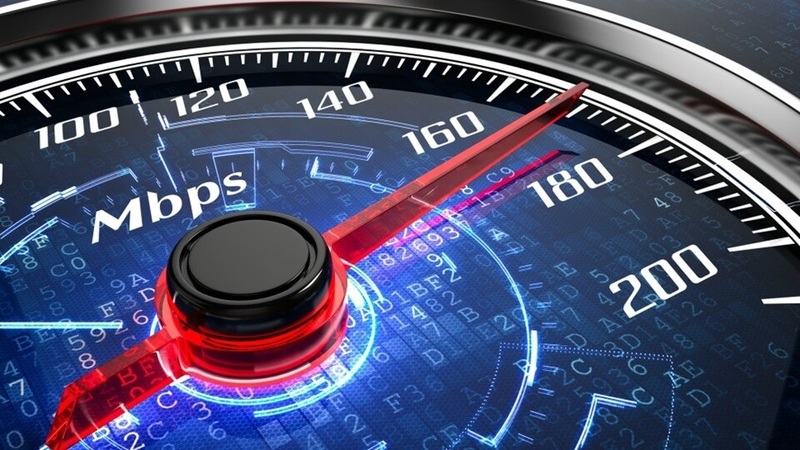 Although a speed test may not give you the most precise and accurate result, but it would be close to your connection. For instance, if you have a connection of 10 Mbps then your speed will fluctuate and at times you may find it around 8 Mbps and sometimes around 9-10 Mbps. However, it should also be noted that most ISPs know when a user starts a speed and for the time being, stop throttling. The speed test result looks normal, but after the test is done, the ISPs goes back to throttling. So, you should definitely try out a VPN to find out if your ISP is really throttling your connection. How a VPN can be useful in such situations? The best choice to find out about throttling is a VPN which can prevent your ISP from finding out that what you are really doing on the internet. Whether you are running a speed test, or downloading large files via torrent, your ISP won’t find out. And through a VPN you will also be able to get an accurate speed test that will help you find out if your ISP is really throttling your internet.